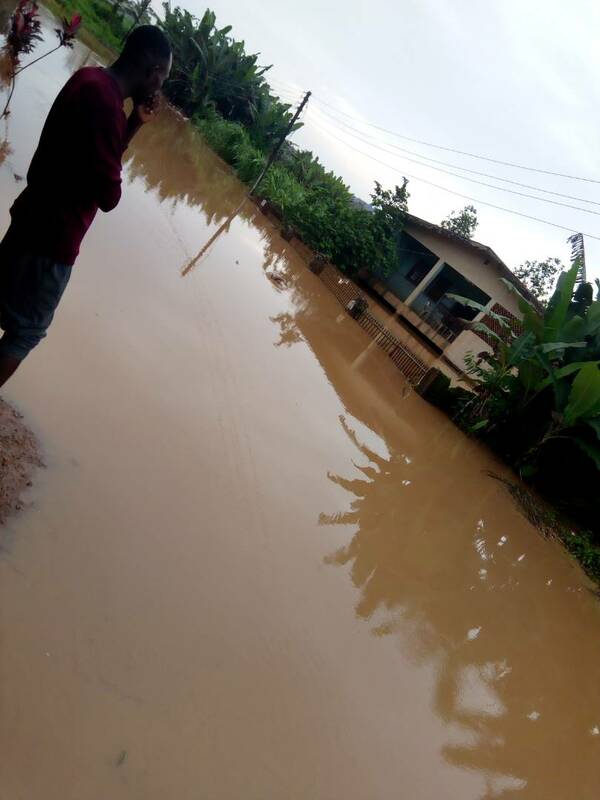 The ancient town of Ile Ife yesterday 29th of July witnessed heavy down pour of rain which led to the destruction of residents' properties and rendered some homeless as many houses were flooded by gully erosion. The chairman of Nigerian University and administrative and technical staff Union. (NUATSU) Obafemi Awolowo UNIVERSITY Ile Ife, has today vowed to charge the vice Chancellor of the institution on the attack on Students staying off campus caused by the flood. Comrade wole Odewumi told Journalists in his office that "I am going to call on other Union leaders on campus to charge the vice Chancellor on what to do on the recent flood gate". Mr Odewumi added that the whole blame of the incident is on the landlords who think the "Student-town-inversion" is an avenue for them for fast profiteering means, giving houses in marshy land to students. Wole Odewumi' also told Journalists that all efforts will be put on deck to communicate to the Two Kings around the university community (Ife and Modakeke) to surmount their subjects(landlords). One the victim of the flood, Deborah by name who is a female Student of obafemi awolowo university ile ife found at the flood scene yesterday, while speaking our correspondent around Oke ola, line 1 of modakeke said " this will be the second time this same flood will whisk this apartment after we have called on the landlord through the caretaker for proper drainage"
She added that all her vital documents and luggage are now carried away by the flood. "This event that happened is a tragedy that belittles the very essence of living which is comfort and happiness. The stakeholders concerned (federal,state and OAU management) should strive to profer a lasting solution so as to prevent a re-occurrence"
Major areas like Mayfair, Lagere, Ibadan road and Asherifa are popular areas where Obafemi Awolowo UNIVERSITY Students reside after the the decongestion process by the school Management Of the Halls of residence. It will be recalled that school Management of the institution proclaimed a new rule on all Halls of Residence which eventuated in reduction of occupants of bedspaces per room. This effect has made largee amount of Students of the institution residing outside the campus. According to a local Campus press of the institution, 72 of 100% are now staying off the Campus.